Mission Bay is paradise! That's Paradise Point Resort, my favorite. 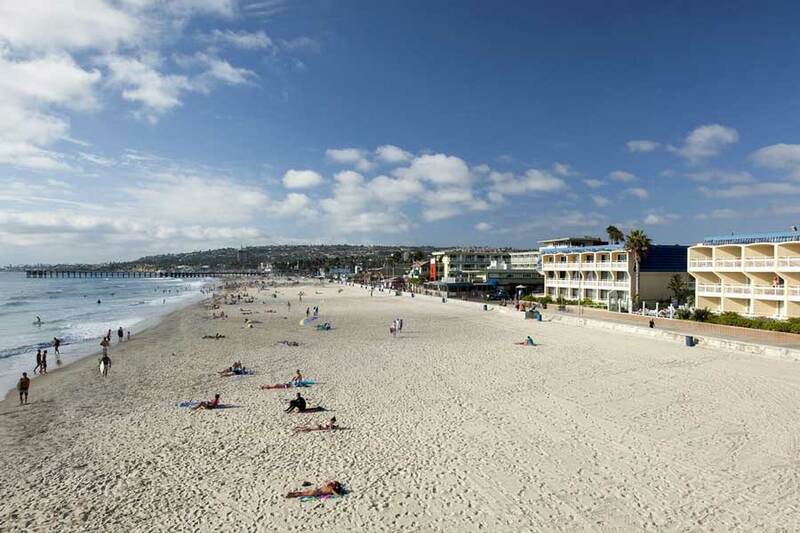 If you've been dreaming of a hotel or resort right on the water, one where you can walk out your door and splash your toes in the water, then head to Mission Bay and Pacific Beach, San Diego's most tropical hotel location. 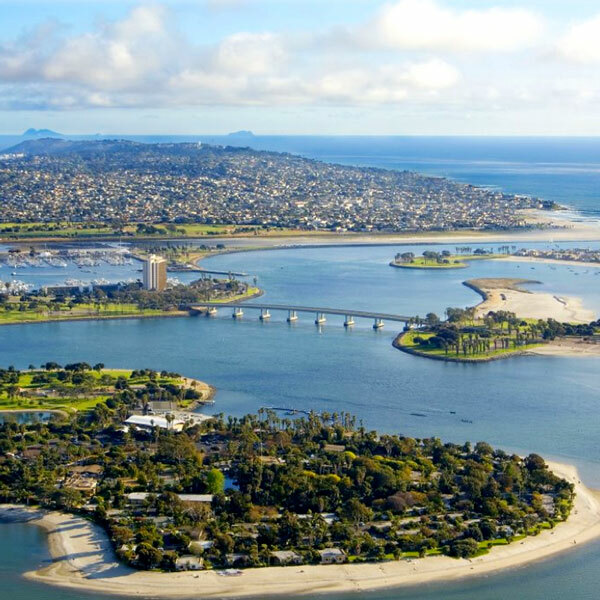 Mission Bay is not only home to SeaWorld but to an aquatic wonderland. 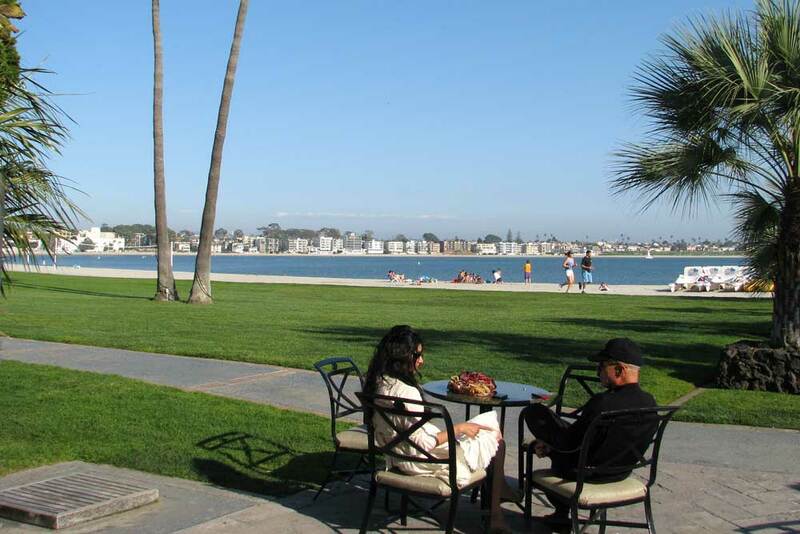 Unlike downtown's San Diego Bay, Mission Bay is recreational and swimming friendly with plenty of sandy shoreline and calm waters. Take out a paddle board or hop on a jet ski, learn to sail, the water options are plentiful. Nearby is Mission Beach and Belmont Park where you'll find one of the last beachside wooden roller coasters and amusement park. Up the coast is Pacific Beach, a surfer dude and dudette sort of neighborhood with hotels right on the beach and plenty of that SoCal beach town vibe. TOP PICK! Paradise Point Resort is my favorite. Of course, I'm partial because this is where I spent my honeymoon so many years ago. 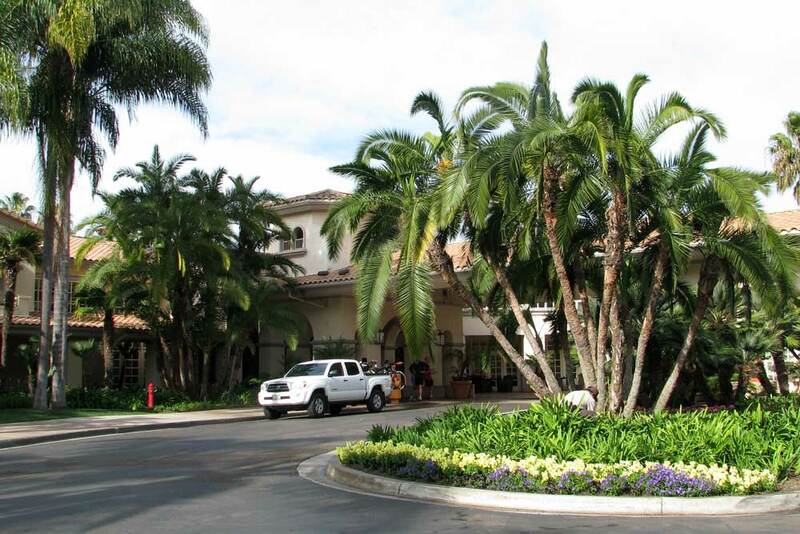 Since then I've visited again and again to experience a resort that's quintessential San Diego with its lush tropical landscaping, stretches of sandy beach and upscale bungalows. There are five pools, including the giant "resort style" pool with cocktail waitresses, pumped up music and lots of activity, as well as more serene adult only pools. Rent a bike and ride around the bay or take a sailboat out on the calm waters. And yes, the waters are calm, perfect for floating on a raft with no giant waves to swallow the munchkins and no hungry sharks looking for a snack. 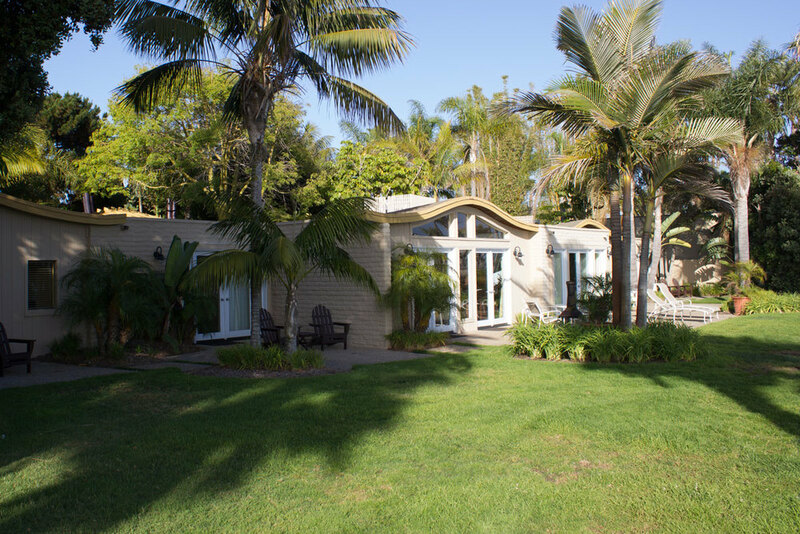 I also love that there is not a towering inferno in sight, just single story bungalows along palm tree walkways. The rooms are fresh and updated with fireplaces and private patios and the tropical landscaping and meandering walkways are perfect for a romantic stroll at sunset, especially if the destination is the fun and casual Barefoot Bar or the newly remodeled upscale Tidal, a restaurant that's been showing up on many "top San Diego restaurant" lists. 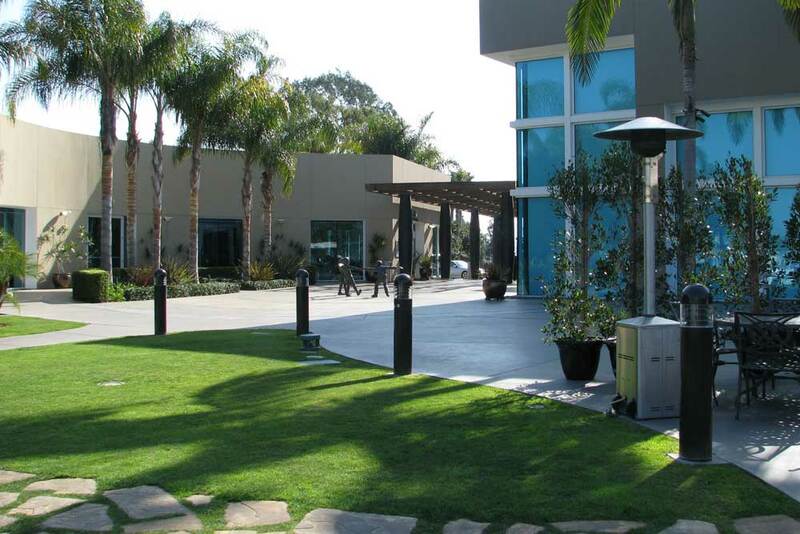 A lot of hotels claim to be "destination resorts" but Paradise Point Resort and Spa lives up to this description. You'll have to force yourself to leave everyday, that's how wonderful this place is. Book it! 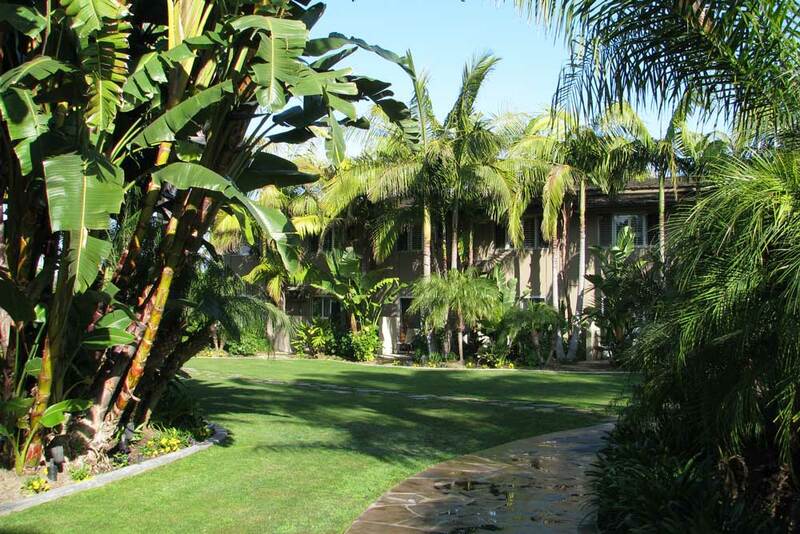 PRO'S: Tropical landscaping and beachfront bungalows feel just like a vacation in Hawaii. CON'S: You'll have to upgrade to get a beachfront room - expensive but worth it. WALLY SAYS: I come here just to hang out, that's how much I love this place! A recent $65 million dollar refurbishing has made this iconic resort even better. 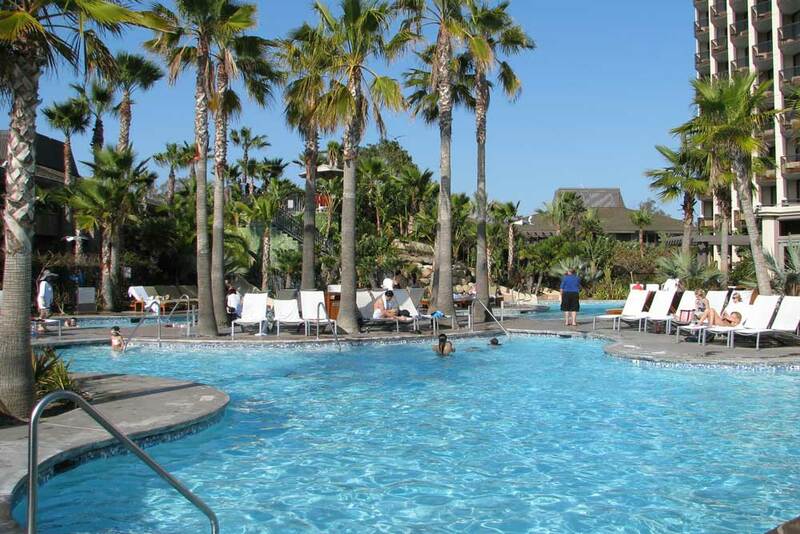 The Hilton San Diego Resort and Spa is their flagship hotel here with three pools (one of them is the biggest pool in San Diego), watersides, fire pits, and even a water taxi that will take you to a private entrance to SeaWorld. Water sports lovers will love the Hilton's private marina where you can rent hobie cats, wave runners, sailboats, wind surfboards, water-ski boats, and scuba diving rentals, along with bikes and rollerblades. There's a private beach on the bay, an arts and crafts center for the kids, if you can't have fun here there's something wrong with you. Seriously, call the doctor! Rooms are either in the 8 story tower or the deluxe bungalows located next to the water. Every room has either a patio or a balcony and features Hilton's Serenity bed - a super comfy pillow top mattress, down duvet and hypoallergenic down/feather pillows. Furnishings are smart and contemporary and TV's are flat. Stressed out Moms will love the supervised kids programs (just set it and forget it) - let someone else entertain the kids while you have a mai tai or two - now where did you leave those kids again? 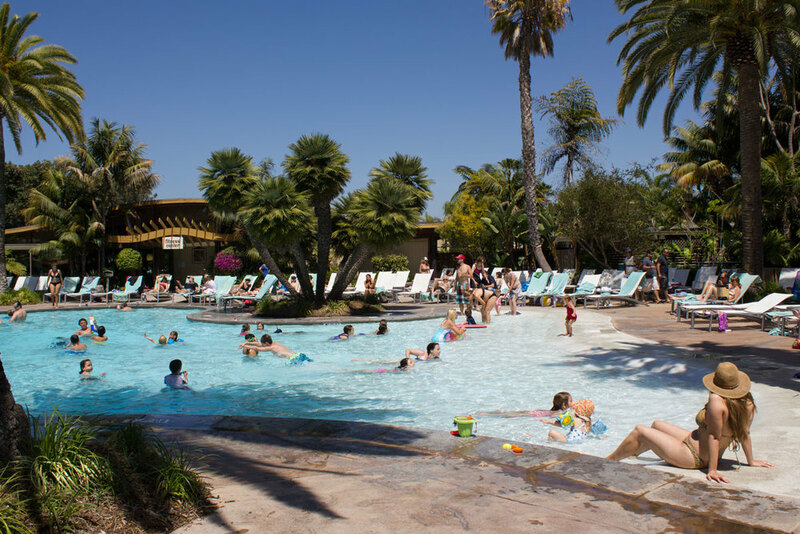 Beautiful grounds, waterfalls in the lagoon, wading pool with floating balls, kid friendly bay beach, the Hilton San Diego lives up to its image as a family friendly full service tropical resort. PRO'S: Lush landscaping and giant pool, firepits, tons of water activities, a wonderful tropical getaway. CON'S: Some rooms face the freeway. WALLY SAYS: Great for family vacations! There's something about The Cat that makes me so happy. Maybe it's that retro cool Tiki feel to the decor, maybe it's the island vibe with the koi fish and parrots, or maybe it's the location which offers Mission Bay on one side and the Pacific Ocean right down the street. Whatever it is, I love how I feel like I'm on vacation every time I get near this place. Just imagine how cool it will be for you when you are actually here on vacation! 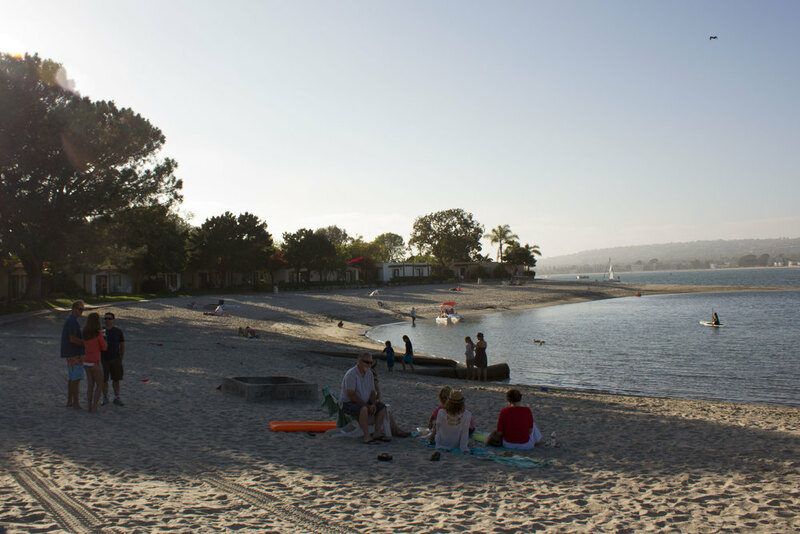 The Catamaran sits on a nice expanse of Mission Bay sand, perfect for sunbathing and great for the kids. 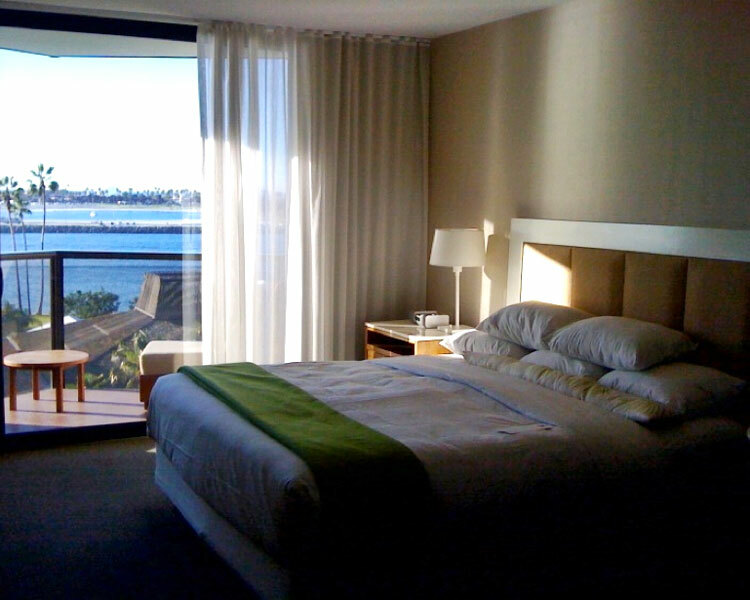 Opt for one of the beachfront rooms in the low rise buildings and you're steps away from the water. 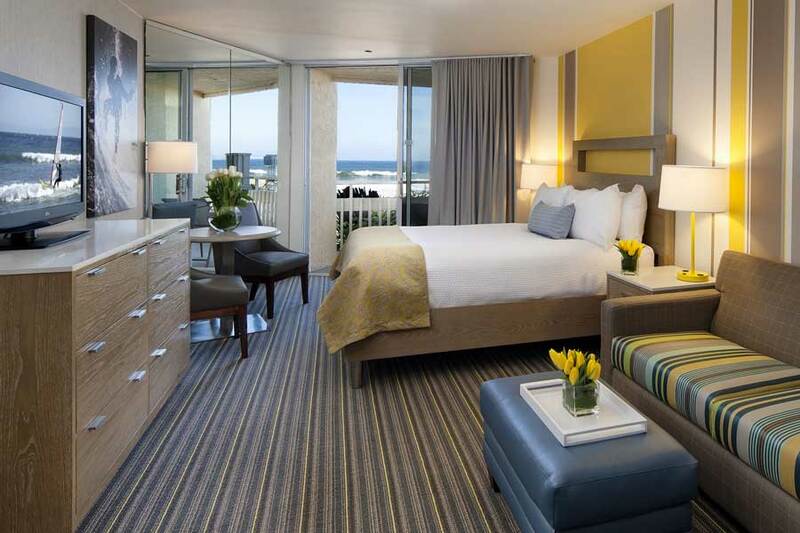 Or go big and book a room in the tower - Ocean views and Seaworld fireworks come standard. There are even suites with kitchenettes, great for families. The Catamaran also offers a number of unique amenities, from a parrot show to an actual Luau show as well as a full spa and movies projected on a screen at the beach. Guest also get a free ride on the Bahia Belle, a goofy "tourists only" paddle wheel sort of boat that circles the bay - locals would rather run naked down Broadway than be seen on the Belle, but it's actually not a bad way to spend an evening if you're here on vacation. Don't worry, I won't tell anyone. PRO'S: Love the Hawaii feel to the Cat and no resort fee. CON'S: Pacific Beach can get a bit busy during summer months. WALLY SAYS: San Diego isn't Hawaii but you'd never know that if you stay at The Cat. Old timers will recall that this was once the Islandia, a fairly iconic hotel on Mission Bay. Hyatt took over the property and did an extensive update, most notably on the three pools, adding water slides and upping the tropical quotient. Very nice! The one thing they did not change are the bay and ocean views, absolutely stunning from the tower. 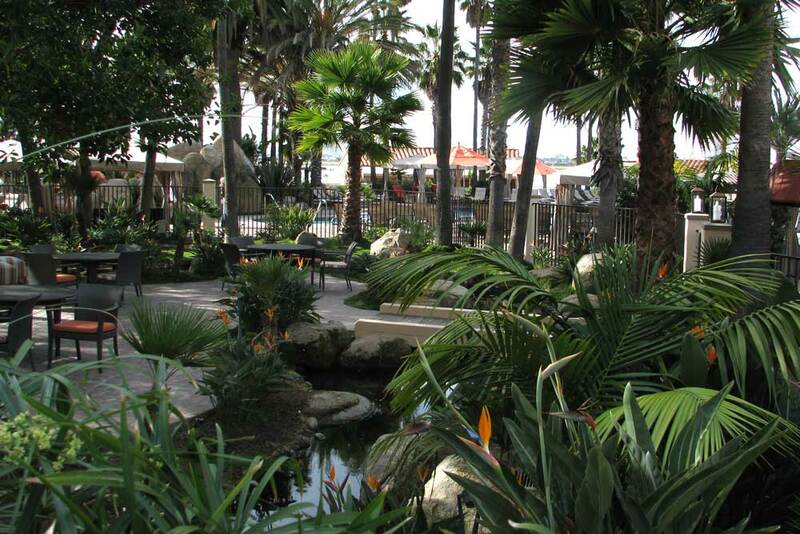 Located right on a marina, you won't have to go far to rent a sailboat or jet ski and Mission Beach is so close you might find yourself walking instead of looking for a parking space. Families looking for a good hotel that's convenient to the attractions will be very happy with the Hyatt Mission Bay but be forewarned that no matter what they tell you this is more like a hotel, not a resort. I wouldn't pick it for a honeymoon or even a romantic getaway but if you're here on vacation or business and looking for an above average location with an awesome pool for the kids then the Hyatt Mission Bay should fit the bill. PRO'S: The views from the tower are outstanding, especially at sunset. CON'S: Rooms are good but could use a refresh and the resort fees are a bit high for a hotel setting. WALLY SAYS: Great location, great pool, just make sure you get a great rate. From the front of The Dana you might think you're at the wrong address since the lobby building looks more like a Community College than a resort but take a few steps beyond and the grounds open up into a tropical paradise. There are two sections and both are very different. Marina Cove is the older section and looks a lot like an old school Hawaiian resort. 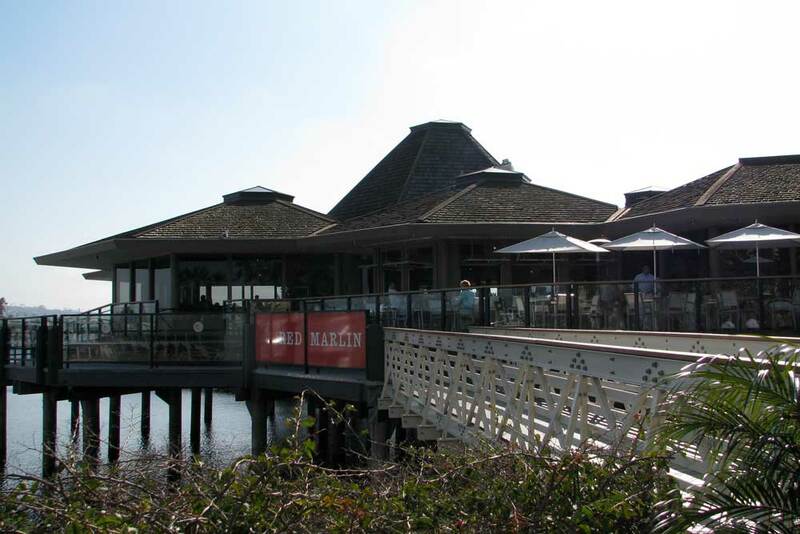 The newer section is Water's Edge and offers clean architectural lines and modern amenities. I sort of like the old section but in the end it's all about the room and Water's Edge gets my vote. Two pools, one with evening movies, and the onsite restaurant called Firefly is surprisingly good. Those with kids might want to consider a different hotel if resort activities and things like water slides and kids programs are important. 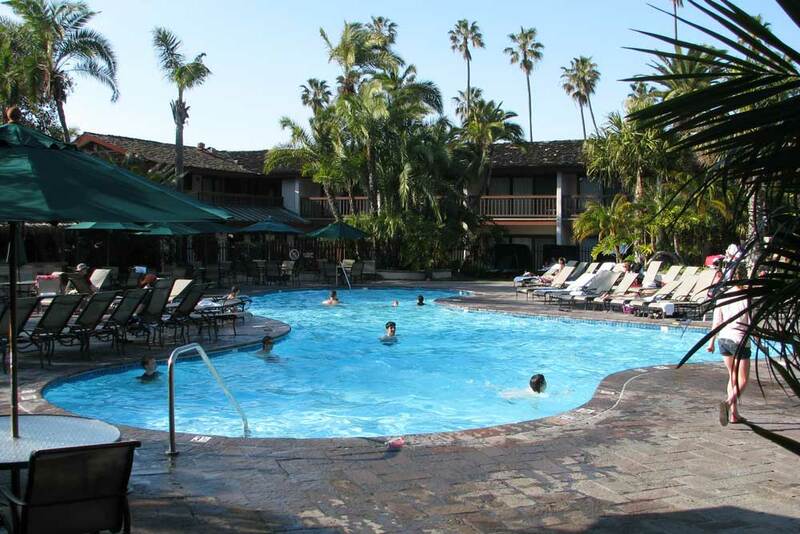 The Dana isn't a full featured resort and the lack of beach access makes it less appealing to some but the location close to SeaWorld and Mission Beach make it a strong contender for your hotel stay. PRO'S: Nice hotel in a very nice location on the marina. CON'S: Feels more like a really nice hotel than a resort, old rooms are sometimes noisy. WALLY SAYS: The Dana often is one of the less expensive options on Mission Bay and worth checking out. 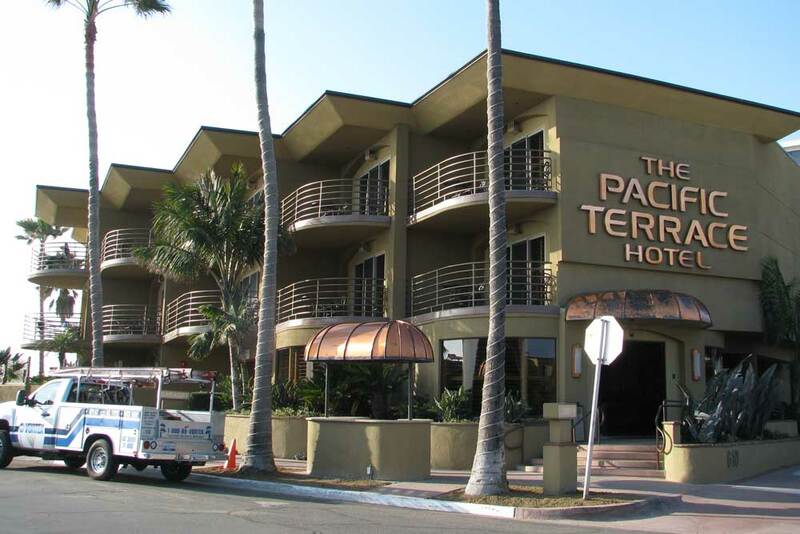 Unlike Hawaii where it seems like every hotel is right on the beach, San Diego has very few true ocean view hotels and the Pacific Terrace in PB is one of them. The only thing between you and the waves is the boardwalk and every room and faces the ocean - splurge for the full ocean view and you'll be happy you did. The rooms are done up in a Tommy Bahama motif and while very nice could frankly could use a refresh to keep up with the trends. But that's a minor quibble since it's really all about location and view and Pacific Terrace has both. Fall asleep to the sound of crashing waves, wake up to take a barefoot stroll in the sand with a cup of coffee. Very, very nice. Of course there's a heated pool and jacuzzi, beach towels and bicycles for exploring the area, as well as their own underground parking lot which is very desirable at a beach location. 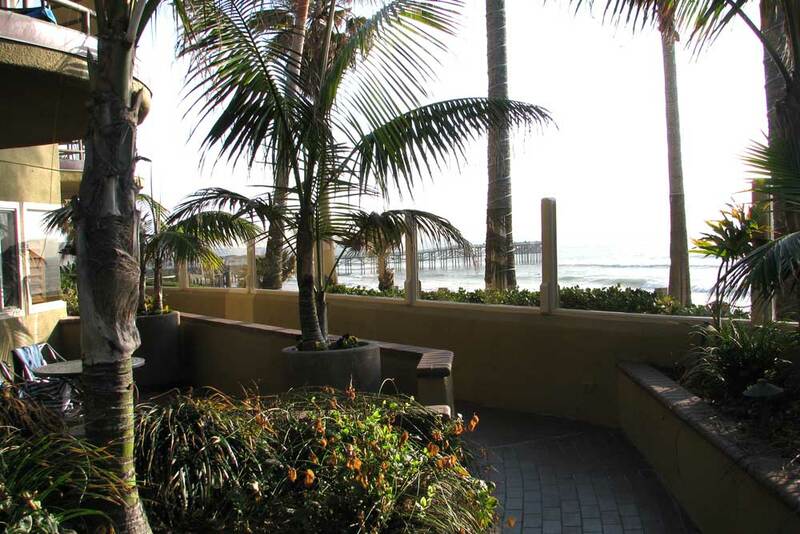 You'll also love exploring Pacific Beach and the many shopping and dining options right outside your door. All in all, one of your best options for a true beach front hotel. PRO'S: Prime location right on the beach, attentive staff. CON'S: Rooms can look a bit dated unless you still wear Tommy Bahama shirts. WALLY SAYS: Great boutique hotel with one of the best ocean views in town! 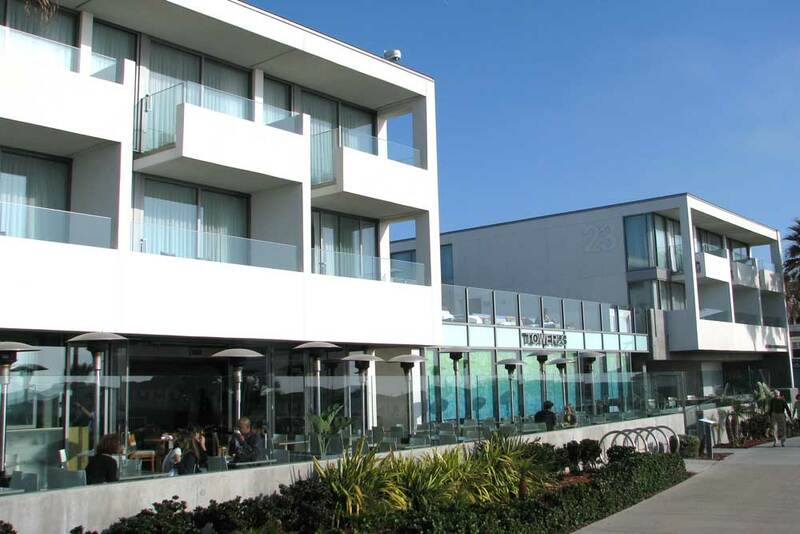 Tower 23 Hotel, named after the lifeguard tower in front of it, is a luxurious, modern boutique hotel right on the beach. Though it's in PB, a beach community known for its laid back attitude, it's vibe is more club than pub and definitely caters to the upper echelon of the youth culture. It's a bit like a trendy Gaslamp hotel but with an ocean view. 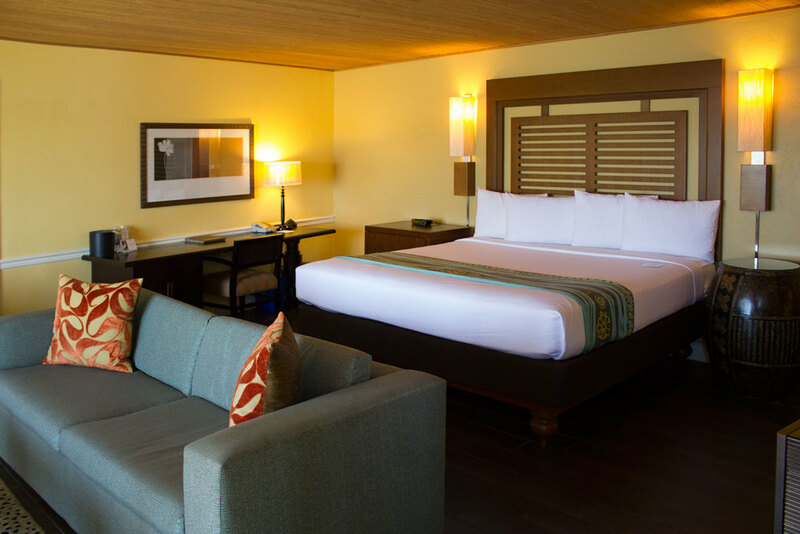 The rooms are clean and modern with contemporary mid-century inspired furnishings and upper end amenities. 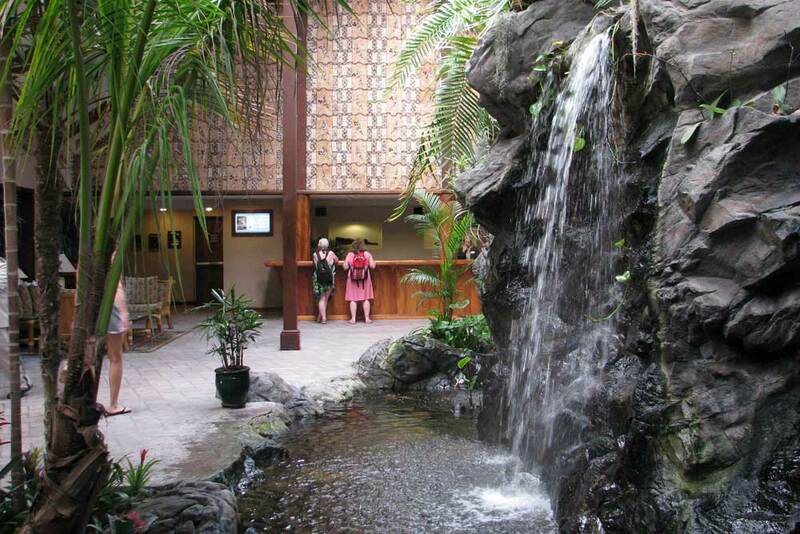 The second floor of the hotel is the outside lounge, a wonderful place to sip a cocktail while you watch a sunset as well as a great hangout spot after hours near the fire pit. That said, unless you like to always be the life of the party you should avoid the "Spirit Pad" rooms as they overlook this lounge area. And just so you don't look stupid, that water feature is NOT a pool no matter what you have read on Yelp! or other sites. So ignore negative reviews that the pool is too small because, again, it's not a pool, it's a water feature. Seriously, get out of the water! 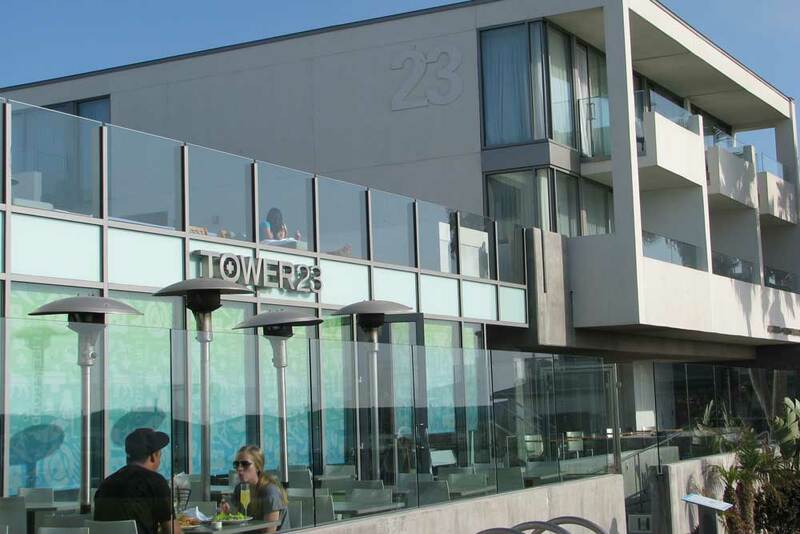 Tower 23 Hotel is also where you'll find trendy restaurant JRDN, a locals favorite, and there are countless other restaurants in the area. Free beach cruisers, wifi on the beach, simply everything you could ask for in a luxury hotel. PRO'S: Perfect for the young and rich crowd. CON'S: May have to catch your zzzz's on the beach the next day. WALLY SAYS: Great place for the ultimate beach getaway..
Don't let the motel-like exterior fool you. Recently refurbished, the Blue Sea Hotel just might take the prize for having the coolest interior and rooms. They're cool and trendy but not cold and intimidating like some of the other "modern" hotels. In fact, they're as friendly as a sunny California day. Location is everything and the Blue Sea Hotel is right on the beach. 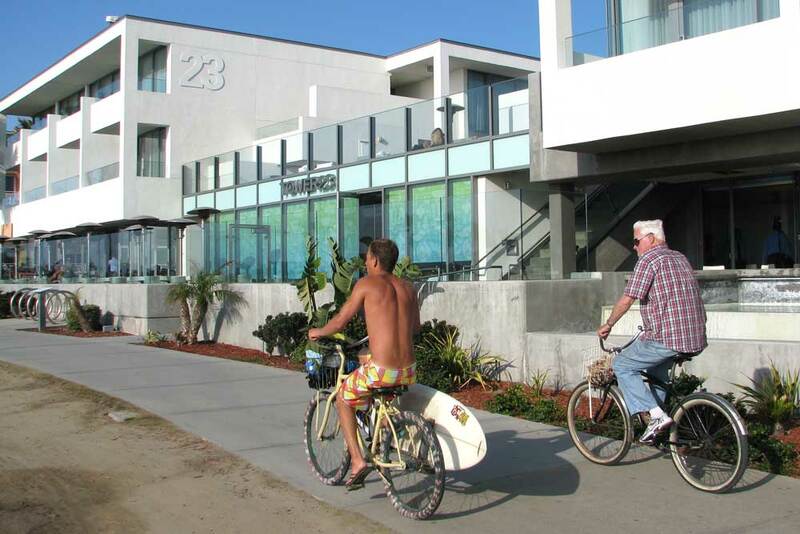 Rent a bike and cruise up and down the boardwalk or hang out on your balcony and enjoy the view of the ocean. The rooms are all fully updated and feature deluxe bathrooms and downstairs are vintage video games you can play for free. And look - there's a pool and jacuzzi tub and afternoon cookies and a mini-fridge, microwave and Keurig coffeemaker, free wifi and upscale bath accessories. So you can't judge a book by its cover. The Blue Sea Hotel looks like a dive on the outside but step inside and it becomes one of the best picks for a beach side hotel. 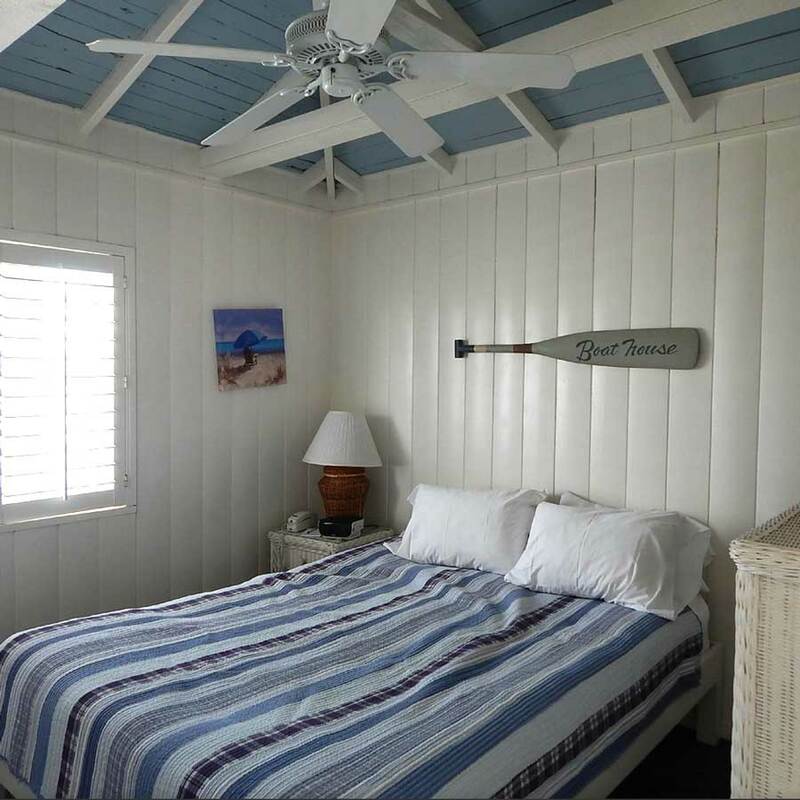 PRO'S: Super nice rooms in a fantastic beach location. CON'S: Like all beach hotels it can get pretty rowdy during Spring Break. WALLY SAYS: It's everything you want in a beach hotel. You want something different? How about staying in a Cape Cod cottage built on a pier that overlooks the ocean? That different enough for you? 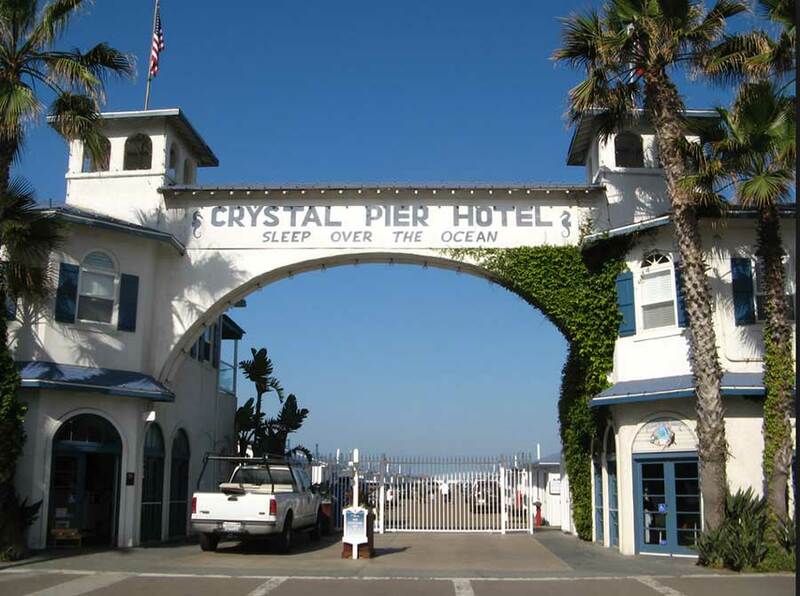 Built in 1930, the Crystal Pier Hotel has charmed visitors with a truly unique experience. The pier itself has always been a destination, once housing a ballroom and carnival rides. Those are now gone but the cottages remain, nicely maintained and perfect for a family vacation. Park your car right on the pier and step inside your cottage, complete with kitchen and private sitting deck. 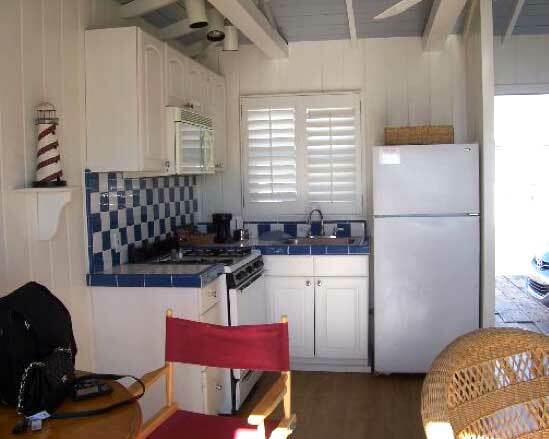 The cottages range from studio to 2 bedrooms and nicely decorated - charming, really. Rent some fishing gear and try your luck - there's no fishing license required on the pier. What are you going to do with that fish? These historic cottages are very popular so make your reservation early. It's not unusual for them to book up a year in advance. 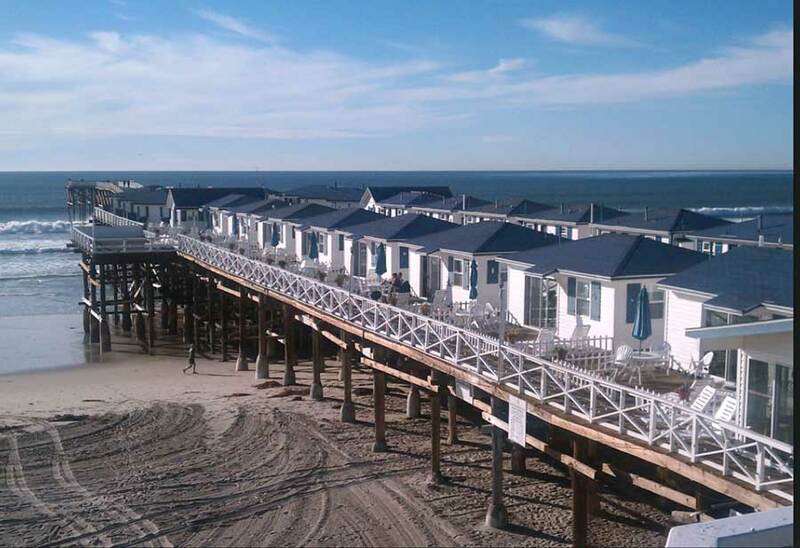 This place isn't fancy, it's not trendy, but where else can you sleep right over the ocean? 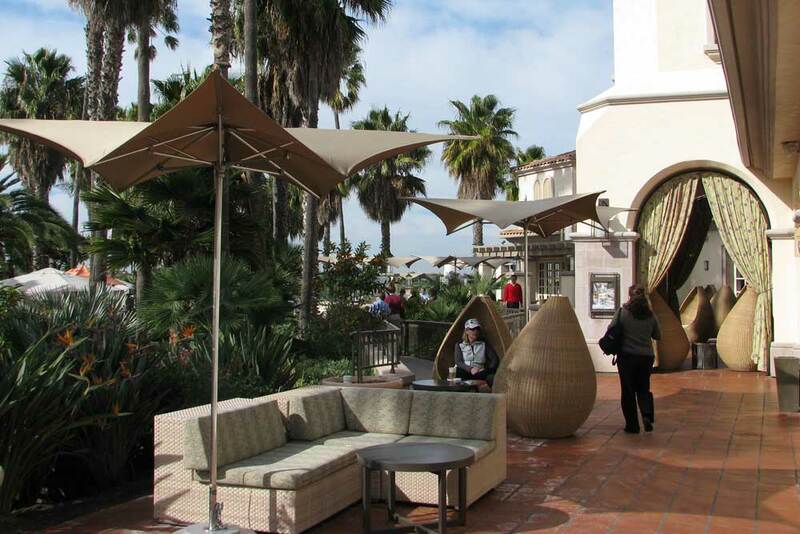 PRO'S: Crazy location, an "only in San Diego" experience. CON'S: It's a bit weird, too, so make sure spouse is 100% bought in or you might be taking long walks alone on the pier. 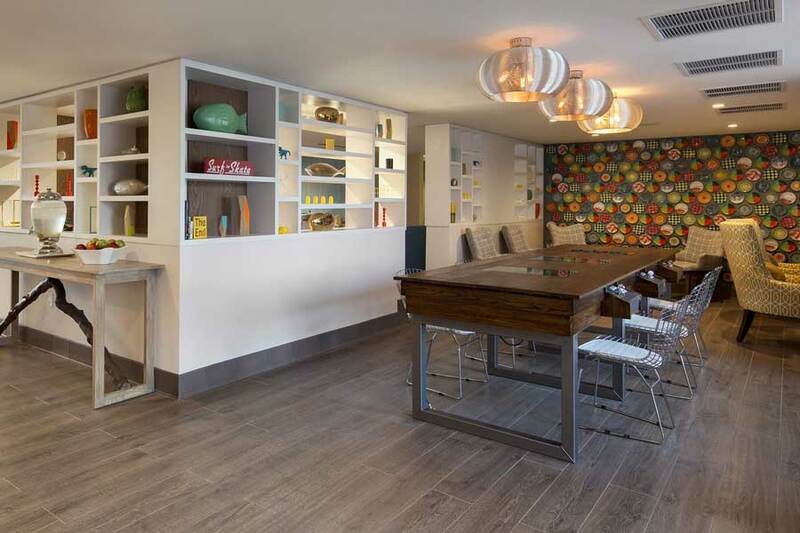 WALLY SAYS: The exact opposite of a boring corporate hotel!